My tutors always remind us to avoid citing Wikipedia on academic writings. Not only my tutors at UofG but also my previous tutors at Universitas Hasanuddin. Wikipedia tends to be innacurate, because everyone can contributes, they said. Therefore, it was shocking when I saw a marketing book citing Wikipedia. This book published in 2013 and one of the ‘Advances in Marketing, Customer Relationship Management, and E-Services’ book series. It was published in United States. 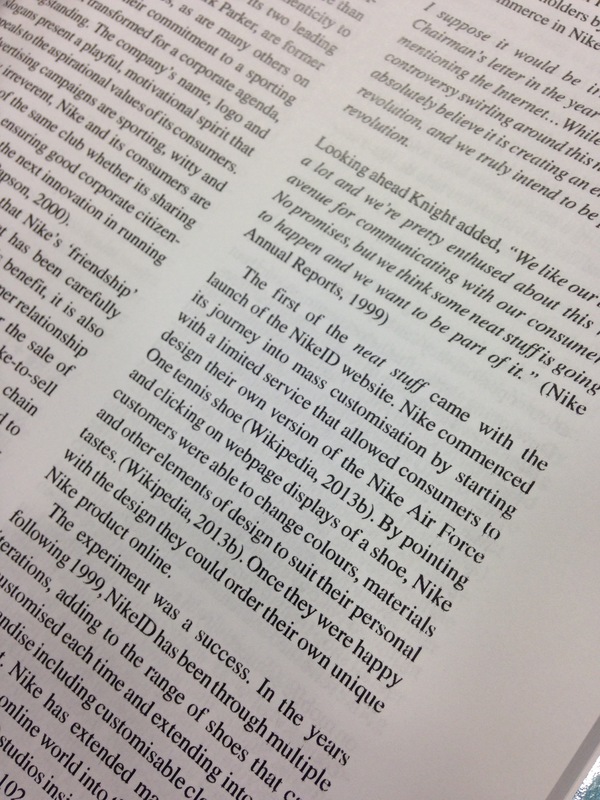 The information they’re cited from Wikipedia is case study of NikeID.